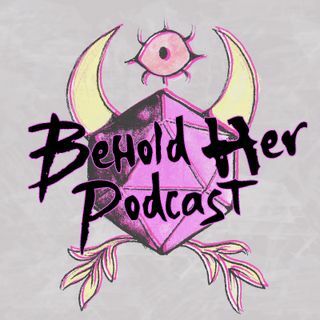 In Episode 1 of Behold Her, host and producer Lysa Chen chats with Dungeons & Dragons artists and creators who share a passion for making the game more accessible and inclusive. Guests include Dani Hartel of Craft Hags, a weekly show on the D&D Twitch channel, Rose Whittaker of R-N-W.net, and Marisa Turmaine, better known as Mazzmatazz the Knit-cro-mancer. The episode ends with an audio story by TK Johnson, read by Noel Shiri of the podcast Dames and Dragons, about how their childhood ... See More love of D&D was taken away by Kentucky's satanic panic and rediscovered years later.